Todays’ installment of “Norton’s Notes, A Merchandiser’s Perspective,” sets its sights on point of purchase sales and owner/manager involvement in the store setup. Our merchandising and marketing department are happy to answer any and all of your questions. 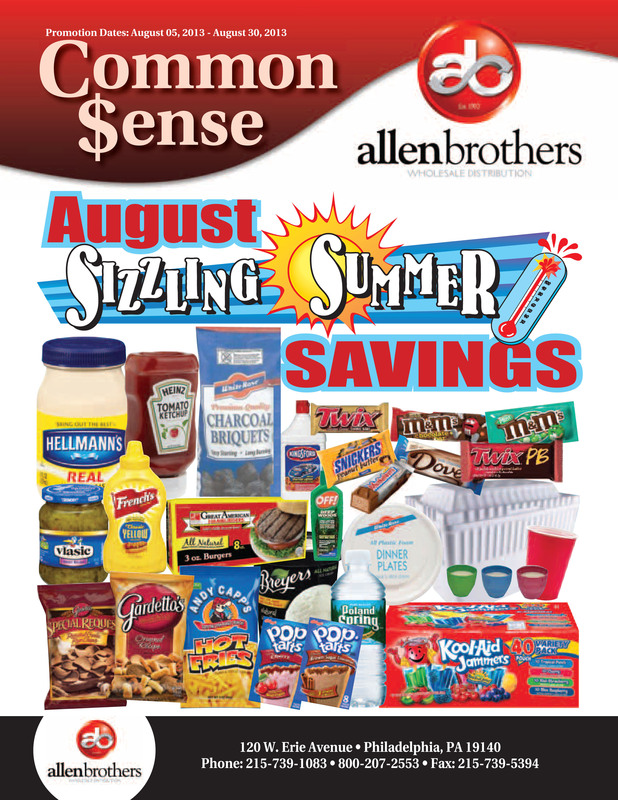 For feedback or to have your question answered, email the Allen Brothers Inbox today at info@abdelivers.com. Question 1) How many items should a store owner carry at the counter-top? Answer 1) The maximum that your space allows. There’s always apprehension about overloading a counter, and it’s a legitimate concern. But your customers can’t buy what they can’t see. The type of products at checkout have to be hot impulse items, this is no place for a slow-seller. Novelty candy, gum, mints, toys, this should be the focus. If an item has been on the counter for more than two weeks with minimal turnover, it’s time to shuffle product. But it’s never recommended to stack different types of products on top of one another. Give each item the opportunity to stand out to maximize your point of purchase sales, as shown below. Question 2) Do you find that most store owners want to be involved in the process of merchandising and setting their store, or prefer to leave it up to you? And which scenario do you recommend? Answer 2) Some owners are more hands on than others. They sometimes have specific plans for their store. Others will give me the freedom to setup their store as I see fit. Setting an appointment to plan the procedure is always a good idea so you’re not going in blind. Both scenarios have their ups and downs. But the more engaged a store owner is in the setup of a store, the more committed they likely will be to maintaining the allure of the store’s appearance. 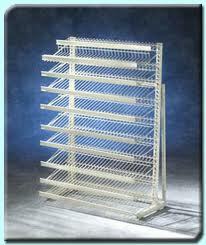 Went searching the web this weekend, and came across a great website on racks and shelving for a store. 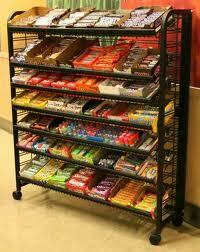 The name of the article says it all, How to Choose the Best Wire Candy Racks for your Store.